On a nice rambling walk up to Stoke Newington, A and I stumbled across Stokey Bears, a new burger and beer restaurant that resulted from a collaboration between Bear Hug brewery and Burger Bears. We were trying to keep enough room for a big dinner plan, so we decided to split a burger and fries. It was pretty excellent and I was a little sad I didn't have my own. 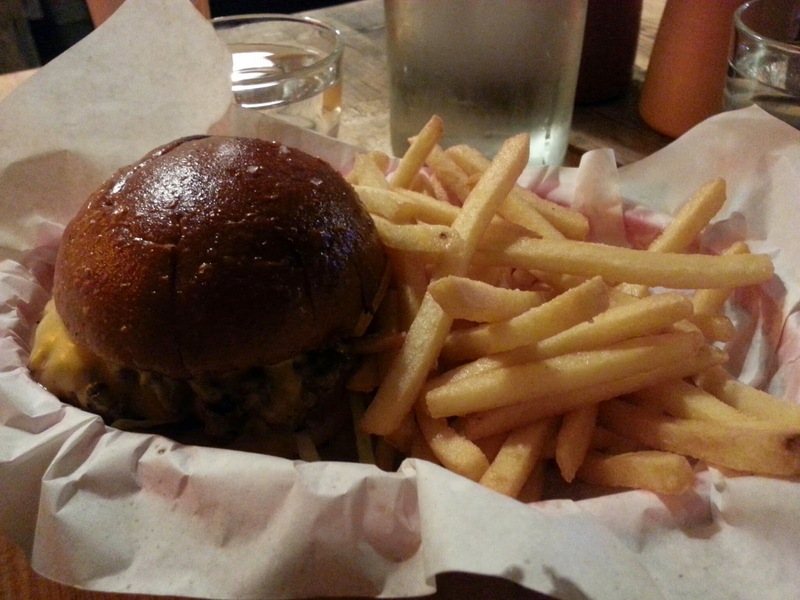 That gorgeous brioche bun was perfect for the cheeseburger and the fries were thin and crisp, just as they should be. I'm thinking this place might be a good way to bribe A to go for more walks in Stoke Newington.